The colors of a rainbow, all on one plant. 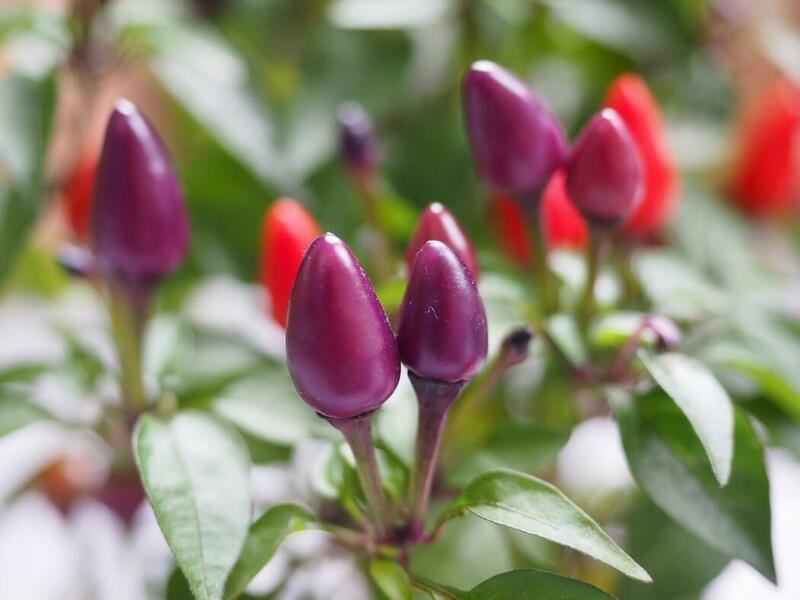 Ornamental pepper plants make for beautiful landscaping, and none are as colorful – and arguably as beautiful – as the Bolivian rainbow pepper. 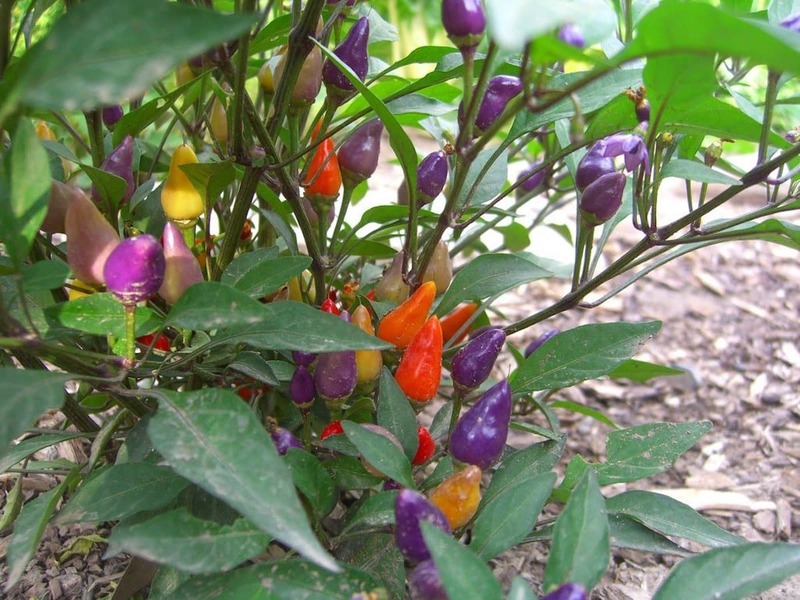 Each plant contains dozens of peppers of multiple hues – purple, yellow, orange, and red. And they’re more than good looks; there’s a surprising cayenne pepper level heat in these Christmas-light like chilies that’s brings excellent spiciness and color to salsas and sauces. 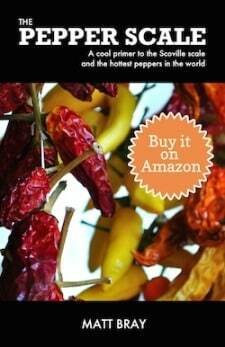 How hot is the Bolivian rainbow pepper? With their bright colors. 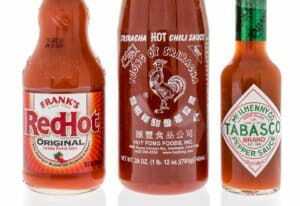 they may look more fruit-like than hot pepper like, but there’s some heat here. Bolivian rainbow peppers range from 30,000 to 50,000 Scoville heat units which put these chilies on par with the medium-heat tabasco and cayenne peppers. Compared to our jalapeño reference point, that’s four to twelve times hotter than a jalapeño. Yes, these ornamental chilies pack a surprising punch. What do Bolivian rainbow peppers look like? They look a lot like Christmas lights due to their colors and conical shape. These chilies grow to about an inch in length, starting purple and aging to yellow, then orange, then shades of red. And each plant can contain dozens of chilies at various stages of maturity, so you get a beautiful color array, again a lot like a set of multi-colored holiday lights. It really is like a cascade of color that livens up any garden, patio, or landscaping. Do Bolivian rainbow peppers taste as good as they look? They pack a punch and bring a lot of color to a dish, but in terms of flavor these are not some of the more complex chilies you’ll find. As a comparison, they are much like a bell pepper in taste, crisp with a hint of grassiness and a touch of tang. They won’t wow you with their flavor, but they will brighten up your plate and provide a substantial heat source. From a landscaping perspective, these ornamental peppers are some of the most colorful and festive around. In warmer climates, Bolivian rainbow peppers will bloom and mature throughout the year, providing ongoing color. They grow very well in containers and indoors as well, and as long as direct light can be supplied, you can enjoy these chilies for much of the year. In the kitchen, the rainbow-like colors of these chilies look phenomenal in fresh salsas and salads. They also dry and pickle well, and they look great in mason jars while they are being preserved. You’ll find yourself wanting to show off these colorful pickled peppers on kitchen counters and shelves. Where can you buy Bolivian rainbow peppers? 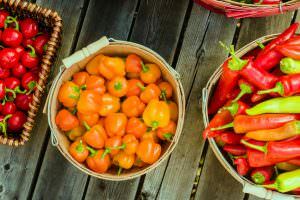 As these chilies serve mainly as ornamental plants your best place to look is your local gardening center, or you can buy Bolivian rainbow pepper seeds online very easily. You won’t find these chilies at your local grocer, so you’ll need to grow them yourself for culinary use or look to farmer’s markets. 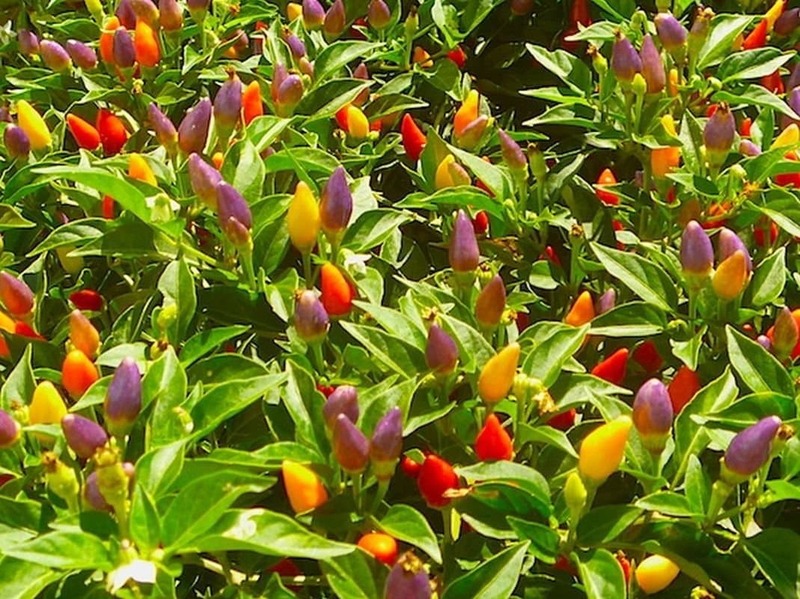 Chilies don’t get more festive than the Bolivian rainbow pepper, so if you’re looking for the perfect landscaping color-splash you’ve got it right here. Add in the surprising spiciness to go with the party-like hues, and it’s a fun chili to cook with too.